Construction workers injured during construction site accidents are almost always entitled to workers’ compensation benefits in New York to compensate them for medical expenses and lost wages. Filing a claim usually prohibits a worker from filing a lawsuit against his or her employer. But what happens when a worker’s employer is not responsible for the injuries or not the only one responsible? Can a third-party claim be filed in addition to a workers’ compensation claim? It is important to hire a professional New York workers compensation lawyer to properly deal with your specific situation. There are several potential parties who can be liable for an accident at a construction site, including the owner of the site, the general contractor, a sub-contractor, a manufacturer of faulty equipment, architects, engineers, or anyone else who can be proven negligent. One of the most important questions used to determine liability is “how much control did the site owner or contractor have regarding the environment?” According to OSHA, general and sub-contractors are required to maintain safe working environments and provide warnings concerning any potential hazards. General and sub-contractors must also make sure work follows all safety regulations. Recognizing that the construction industry is hazardous and can result in serious injuries, New York has long-standing statutes that protect injured workers where there’s been a failure to provide safety devices in work situations related to injuries caused by height falls. These situations include falling off a roof or a scaffolding accident. These laws impose strict liability upon owners, general contractor and other who have a measure of control over the work site and are intended to ensure that workers are provided with safe work conditions. It is important to closely review your construction site accident details with your New York workers compensation lawyer. If you have suffered any construction site accident injuries, we can be your New York workers compensation lawyer. 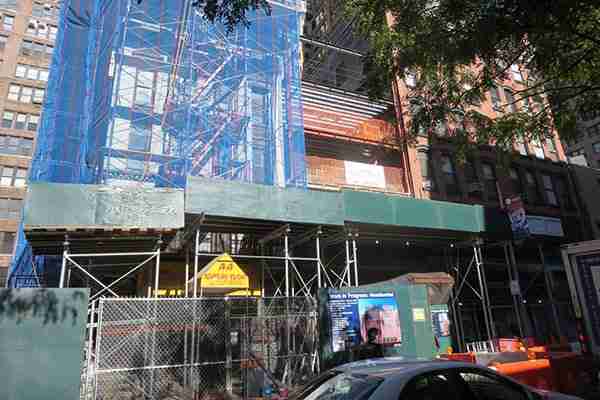 Contact our New York workers compensation lawyers if you have suffered any construction site accident injuries. If you believe an owner, general or sub-contractor or anyone else involved in a project is liable for your construction site accident injuries, you may have the option of filing a liability claim to recover compensation. This is a claim above and beyond, or in place of, any workers’ compensation claims filed. If you can show a third party was negligent and failed to provide for a basically safe work environment, you could be entitled to compensation. If you’re able to show your injuries were caused by a defective or mislabeled product, you could be eligible for compensation through a product liability lawsuit. If negligence or gross misconduct causes the death of a construction worker while on the job, his or her family can recover compensation through a wrongful death claim. You have a right to be compensated for your injuries, lost earnings, and pain and suffering damages. We will ensure your rights are protected as your New York workers compensation lawyer. Our goal is to make sure you receive the financial compensation you deserve quickly. Contact The Law Offices of Elan Wurtzel today to get started with a free consultation!